Valentines Heart Shaped Pizzas are here! Need a unique last minute idea for your sweetheart or the kids? 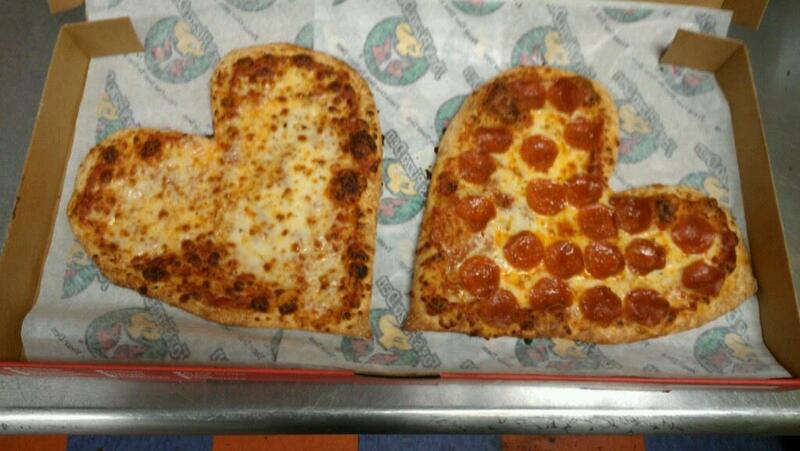 Treat them to their very own Heart Shaped Pizzas! We make your Heart Shaped Pizza fresh to order, so we can make it in any size and with any toppings that you would like! A heart shaped pizza is the perfect way to treat your Valentine to a unique and delicious surprise! New this year… receive an order of oven baked cinnamon dough knots with each heart shaped pizza purchase! Heart shaped pizzas are available through Valentines Day, Sunday February 14th.